We always want what is best for our kids. We want them to have the best education, the best opportunities and of course optimal health and wellness. You know that diet and health go hand in hand. So why wouldn’t we be giving our kids the best nutrition? 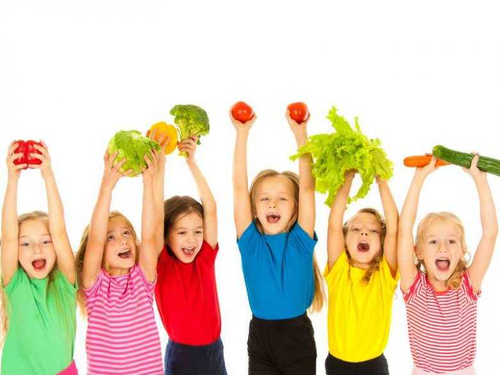 I know that everyone has picky eaters but to help your child be successful in making healthy choices you have to start fostering the right kind of mindset about nutrition at home. Try to serve a variety of healthy foods and snacks like cut fruits and veggies with nut butters or guacamole. Toss the junk food and get moving. Whether you believe it or not your kids look up to you so be a good role model and eat healthy and be active too. 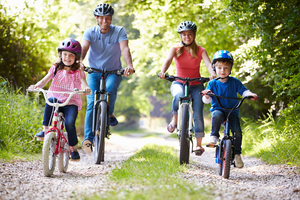 Going for a walk or a bike ride are great ways to get you and your kids moving. You could even take up a new sport like tennis with your kids and find a new way to have fun together. Try to avoid fighting over food and instead get the kids involved in planning and making the meals so you can make delicious and nutritious choices together. We’re not saying you can’t have the occasional treat, but don’t use these treats as rewards. Make meal time family time. When you can come together and enjoy a meal it gives comfort and stability in what may otherwise be a crazy and hectic day. It’s also the perfect time to talk about your day and nurture your relationship with your children. If you continue to struggle with getting your kids to eat nutritious meals make sure they are getting the nutrients they need with a multivitamin. This can really help fill in the nutritional gaps when we’ve exhausted other options. 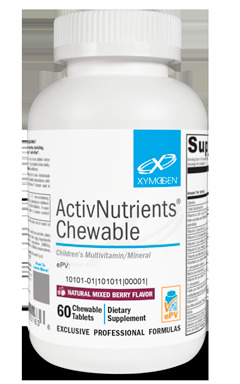 ActivNutrients® Chewable by Xymogen is a great children's multivitamin. It is formulated to address children’s unique nutritional needs for growth, development, and vitality and to help close the nutritional gaps that commonly result from suboptimal diets. Each great-tasting tablet provides 23 important vitamins and minerals in active, highly bioavailable forms and is free of artificial colors and flavors, preservatives, and high-fructose corn syrup. Getting your child to make healthy choices doesn’t have to be a battle. Make it fun and give them lots of options to explore.